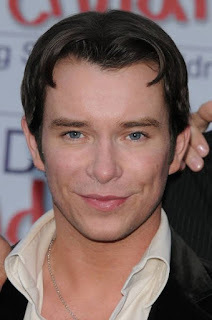 Originally from Sheriff Street in Dublin, Stephen Gately was one of five children and interestingly also one of five members of Irish boyband, Boyzone. With Boyzone, Stephen enjoyed a record-breaking 16 consecutive singles which entered the top 5 of the UK Singles Chart including 6 number ones. He was first to release a solo album in 2000, after the group disbanded. He also went on to appear in various stage productions and television programmes. In 2008, Boyzone reformed and produced the video 'Better'. Stephen wed Andrew Cowles in a commitment ceremony in Las Vegas in 2003 and again in a civil partnership ceremony in London in 2006. Stephen was a patron of the charity 'Missing People'. His book, 'The Tree of Seasons' which was in progress at his time of death in 2009, was written in collaboration with June Considine and Jules Williams but based on Stephen's original handwritten notes. On the day that he died he had just worked out the ending.